Stories begin with an inequity, one that isn’t tied to the central character. It is the event that starts every complete story. Whether an action or an act of deliberation, this inequity-producing force lights the engine that lay dormant within the context of Backstory. It is not, as is so often misunderstood, development of another problem. Recently screenwriter Matt Bird, over on his excellent Cockeyed Caravan blog, defended a challenge to the non-transformative nature of Clarice Starling in The Silence of the Lambs and Dr. Richard Kimball in The Fugitive. As laid out in the article What Character Arc Really Means, there are Main Characters who grow throughout a story, yet stay tied to their own personal worldview. When people speak of Main Characters who don’t change or “transform”, they are referring to those characters who do not alter their own personal paradigm. But before addressing this understanding of the central character’s growth, it becomes necessary to first clarify the true nature of the Inciting Incident. Before getting into more detail, it is important to note that this could be a case of semantics. There could be a chance that Bird is using the term Inciting Incident loosely, applying it to the beginning of the Main Character’s personal storyline rather than the way the term is typically used, that is, to signify the start of the larger over-arching storyline that involves everyone. The assumption is that, when using the term Inciting Incident, one is referring to the moment when a story starts. When it comes to the Inciting Incident of a story the general consensus is that it is the event or decision that creates the problem for everyone in the story. After all, it “incites” the story. Vader and his Stormtroopers attack a diplomatic ship in Star Wars, Ugarte decides to give the Letters of Transit to Rick in Casablanca and Joshua Cody’s mother dies from a drug overdose in Animal Kingdom. These are all significant events that create the inequity the Protagonist hopes to resolve, and force more actions or more decisions to occur. The problem with forcing the Inciting Incident closer to the 20 or 25 percent mark is that, from a dramatic perspective, there is little energy being spent during that first act. Typically, stories without a strong Inciting Incident also, by matter of definition, have no definable problem in place for the characters to deal with. Thus, no conflict and little for the audience to be concerned with. Waiting until the quarter mark to get things going is a surefire way towards creating a storytelling disaster. The Inciting Incident brings a story into existence. 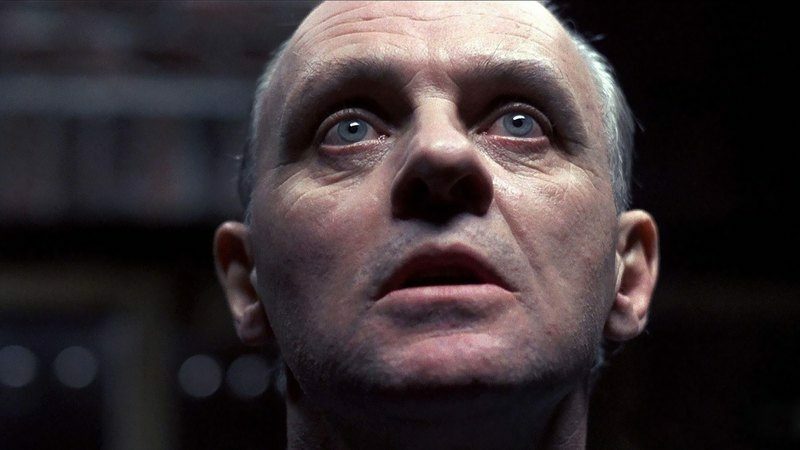 In Bird’s defense of the transformative nature of Clarice and Richard, he claims the Inciting Incident of Lambs is the request that Starling interview Lecter. This would mean there was no inequity before the request—and that isn’t the case with this film. Would it not be more accurate to say that Buffalo Bill’s fifth kill was the Inciting Incident that forced the decision to go with Lecter’s assistance? The decision to have Clarice conduct the interview moves the story along, but only in response to the inequity created by Bill’s latest atrocity. When nailing down where an act turns, it becomes crucial for an Author to determine causation. Act turns are not time markers. This technique of using causation to determine the Inciting Incident of a story though appears best in the example of The Fugitive. Referring again to the original post, Bird claims that both the murder of Richard’s wife and the train wreck itself function as the collective Inciting Incident of the story. If this were true, what decisions do these events force into existence? Remember that the creation of an inequity, in effect, creates a vacuum that necessitates some response. Since these are both actions, if they truly incited the problem into existence they would force decisions. The murder of Richard’s wife didn’t come out of nowhere—there was a reason. Contrast this with Buffalo Bill’s heinous act. There was no prior decision that forced that serial killer into killing that fifth girl, the action itself created the inequity. In The Fugitive, the initial murder didn’t create the vacuum, it came as a response to the inequity created by another important decision. The one-armed man killed Kimble’s wife because her husband, Dr. Richard Kimball, made the decision to blow the whistle on RDU-90. If “x” had not happened, is it likely that “y” would have happened anyways?If the answer is yes, then x is NOT driving the story forward. If the answer is no, then y MAY be the driving force. Note that an answer of no does not guarantee that x is the event driving the story. To confidently say that, one needs to examine all the turning points within a story and determine the commonality behind all those events. In a complete story, all the x’s will either be actions or decisions. They won’t be a mixture of both. (The Advanced Theory section of this article has more on why). With Silence one would ask, if Buffalo Bill had not killed his fifth victim, is it likely that they would have decided to go with Lecter? Probably not. Now we have a potential candidate for an action-driven story. The key is to examine other events that drive a story and see what they bring up. If Miggs had not attacked Clarice, is it likely that Lecter would have made the decision to help her? No. Candidate number two. If Lecter hadn’t left the writing on the map would Clarice have made the decision to re-investigate the Ohio murder? No. If the moth hadn’t landed on the spools of thread in Gumb’s house would she have made the decision to try and arrest him. No, and again, another candidate. This continues on and on until the end of the story when Clarice shoots Gumb. The inequity created by the initial Inciting Incident—that of Gumb getting his fifth kill—has been successfully resolved. This Concluding Event always clarifies the resolution the original inequity. Luckily for those involved in this story, it has. This same test can works with Kimball and friends. If Kimball had not decided to reveal his discovery of RUD90, is it likely that his wife would have been killed? No way, no how. A clear indication of a decision creating an inequity. But as with Lambs, it becomes important to check the findings against other driving events and see if they are decisions as well. Take for instance the train wreck. Everyone can agree that this sequence turns the story into Act 2. First Act: innocent man sentenced to death, Second Act: convicted fugitive on the loose. But is it the train wreck that forces further decisions, or was there some decision that brought about that spectacular crash? It would be difficult to conclusively determine what decisions the wreck brought about. One could try and argue that Richard decides to run away, but a) it’s less of a decision and more of a gut reaction for survival, and b) it would lack any meaningful connection between the drivers of a story and the problems they create. Causation is the key here, and it isn’t strong enough to warrant the label of Act turner. In The Fugitive, problems arise when characters try to help others. His wife’s call for help (which is misunderstood as an attempt to identify him), Kimball’s attempt to help the injured child (which almost ends in his own apprehension), and the cops in the chopper trying to aid Gerard (which almost kill him!) are but a few examples of where assistance to others create and develop the inequity of the story. The most important example though, at least for this article, is when the corrections officer decides to open up the gate in order to aid the convulsing prisoner. This is the decision that led to the train wreck. This is the First Act Turn. Note the amount of attention paid to his indecision, to the yelling and the screaming for the officer to make a choice. This is a significant meaningful moment, developing the story’s original inequity and pushing it towards the end. If the officer had not decided to open the gate, would there have been a train wreck? Would there have even been an Act Two? There is a meaningful pattern to the types of events that drive a story. They are not simply things that divide a story into convenient-sized quarters. While these turning points are often found at the same time mark (30 pages into a 120-page screenplay), it is not always a guarantee. Page markers do not function well as a basis for determining Act breaks. Separating the Inciting Incident from the Main Character’s storyline is key. The Main Character has their own personal issues to deal with. They tie in thematically with the larger story, and perhaps could have their own inciting event, but they are unique and personal to the central character of a story. The central character, however, is not the entire story. This distinction is an important one to make if there are accurate conversations to be had over what is going on within a complete story. Mashing up the Inciting Incident into an event that covers both the start of the Main Character’s story and the part of the story that concerns everyone else is a guaranteed way to incite confusion over whether or not the Main Character experiences a paradigm shift, and whether or not they truly transform. Why all the focus on actions and decisions? One of Dramatica’s revolutionary concepts (one of many!) was the discovery of a causal relationship within the plot events that drive a story. With this revelation, the “Inciting Incident”, the “Break into Two” and “Break into Three” and the “Concluding Event” suddenly have meaning beyond tabbed folders in an outline. Dramatica refers to these key moments as Story Drivers. A story can be either Action-driven or Decision-driven, but not both. As covered in Consistent Plot Points, a meaningful argument exists when the Author maintains the pattern of causation they began with that first Inciting Incident. A story that starts with an Decision can’t end with a Action. It simply doesn’t make sense. (See Bee Movie). Actions drive The Silence of the Lambs. Decision drive The Fugitive. Re-reading the article above, one can see that the events that begin a story and drive it from one Act to the next are not simply things that happen (as plot is so often described), but rather events that force other events to transpire. Action-driven stories will force decisions. Decision-driven stories will force actions.